Pay the Examination Fee through Debit Card, Credit Card, Net Banking or E Challan / SBI E Challan. 194 Candidate shaving Graduation Degree in any stream along with having typing Knowledge in Devnagari Hindi Language will be eligible for these posts. 89 Candidates having Graduation Degree in Science (B.Sc) stream. 11 Candidates having Graduation Degree & Hindi as a subject at graduation Level & having English as a subject in intermediate level examination. 107 Candidates having Graduation Degree in any stream along with having “O” Level Certificate from DOEACC. Candidates having Graduation Degree in Commerce/ Economics. 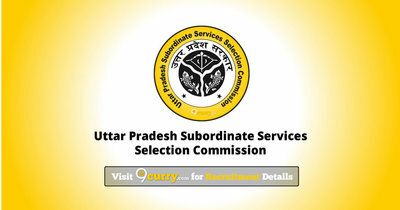 Eligible candidates may apply online at UPSSSC's website (direct link is given below) from 30 Jan 2019 to 19 Feb 2019. Click on “Candidate Registration”, if you are a new user.